Multiple virtual reality platforms have hit the market, some more than others targeting the music industry. As many of these technologies are still in their beta form, it is hard to imagine the extent of change that they may encourage in industries such as the music business. As the price point becomes more affordable, expect major changes in the music industry with some brands experimenting with new ways to present their product. Some brands such as Coachella are already experimenting with technologies meant to enhance the live concert experience. For a premium, imagine being able to enjoy concerts from your favourite artists but while remaining in the comfort of your own home. For a festival like Coachella, this can mean additional ticket sales from those who may not be able to make the long distance trip to the festival grounds. 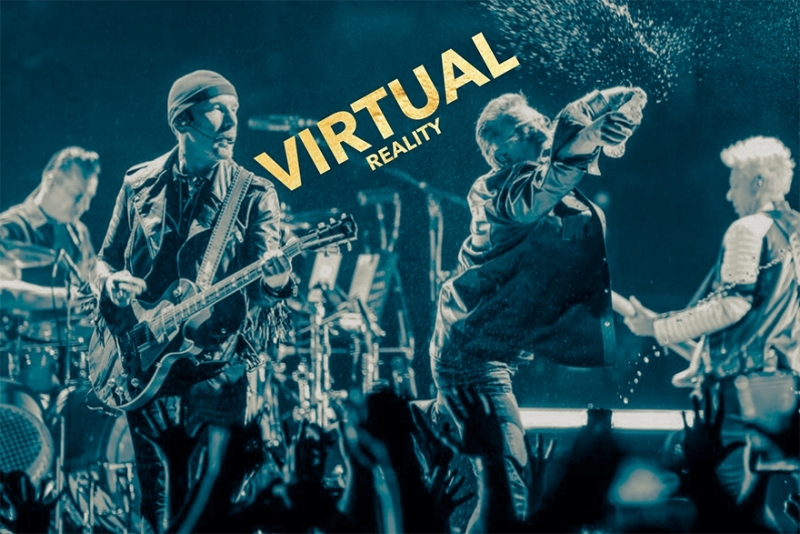 For artists such as U2 who are well-known for their experiments and incorporations of technology into their live shows, virtual reality could go as far as bringing a user on stage with a band. There are multiple ways users can be actively engaged in live shows via VR tech and as live music tickets continue to increase in price, this could potentially provide a new method to generate more income. There are artists such as Beyonce who continue to praise and use the album format to deliver their material. Today we continue to think of the album format as an auditory listening experience however VR tech could potentially take this to the next level by providing an entire world to walk around in. Big-budget artists could use this technology to develop an interactive listening experience that reinterprets and re-invents the album format. Why such an approach might still be decades away is that the price point for VR tech has not lowered anywhere near where it needs to be. When or if VR tech does catch on in the general marketplace, this could mean very positive changes ahead for major label musicians. VR tech could change the way that music lessons are given and how novice music producers learn their craft. There are so many opportunities to create more interactive, fun spaces in which to share music. Though traditionalists may continue to hold onto the idea that music is a purely auditory experience, though there may be truth to that in some genres, mainstream audiences have come to music wanting something more – years ago it was video content, today it is video on demand and access to celebrity, and years from now, it very well might be a more interactive, captivating experience via VR. It may take decades to get there but even if current forms of virtual reality do not quite catch on and/or are not able to find a more affordable price point for general audiences, another form of similar tech is likely to come along in its place. Today’s VR tech in music may seem basic and uninteresting to some, however the future of the music business is going to continue to involve technology in new, exciting ways. VR tech in music can serve multiple purposes, helping to sustain the popularity of artists and helping to bring in audiences in a way that they have never been able to experience before.